You just might be the kind of race bettor that craves big action. Maybe $2 win bets or the occasional exacta bet just don’t get your motor running. If you really want to go for the big payouts, betting the Pick 6 could mean life-changing money in your pocket. Exactly how much money? How does six figures sound? It may be hard to believe, but bettors are regularly collecting $100,000 or more by winning the Pick Six. What is the Pick Six? The Pick Six just might be the hardest bet in horseracing to collect. In order to win this big bet, you must pick the winner in six consecutive races. The minimum bet for the Pick Six is usually $2, but some tracks have started offering the Rainbow Six or Fortune Six for as little as $0.10. Can you imagine betting $0.10 and taking home $100 K or more? It happens. The Pick 6 sequence is the six races which count in making the bet. The racing secretary at each racetrack is responsible for choosing which six races will be used. In most cases, racetracks run a total of 10 races each day, and the Pick Six is usually contested over races 4-9 or 5-10. Why do they do it this way instead of letting bettors choose which races bet? Simple. The middle of the card to the end is usually made up of the toughest races to bet. 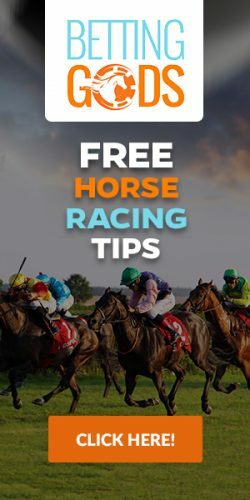 The first three races of the day are referred to as the undercard and most often involve races where it is somewhat easier to identify the winner. Races 4-9 or 5-10 are the races that bring out the heavy hitters, the horses with real talent. As a result, these races are more competitive and often harder to handicap. That makes it harder to select the winner six times in a row. Horse #1 to win the first race in the sequence. This is called the first leg. If the horses you chose all win their respective races, you get paid. Pop some champagne because it is time to celebrate. The payoffs on a Pick Six are usually huge. It sounds easy, and making the bet is easy, but collecting the bet is hard. Trying to pick six consecutive winners requires expert handicapping and a little racing luck. One of the most attractive aspects of betting the Pick Six are the carryovers and consolations. If no bettor correctly selects the winner in the six races, almost all of the money in the betting pool carries over to the next racing day. This happens very often in horseracing. Let’s look at a theoretical example. On Day 1 bettors wager $100,000 into the Pick Six pool. No one correctly chooses all six winners, so on Day 2 the racetrack puts that $100,000 minus the takeout (the racetrack’s profit) back into the Pick Six pool. On Day 2 bettors wager another $200,000 into the pool. Now the payout is worth just under $300,000. Once again no one wins. On Day 3 the pool carries over once again. In the spring of 2014 at Gulfstream Park, the Pick Six carried over for more than a month straight until it was finally collected by a lucky bettor. The payout? Almost $6 million. Additionally, if no bettor correctly selects the six winners on a given day the track disburses a consolation payout to the bettors that correctly selected five winners. Sometimes a consolation payout can be five figures. On most occasions the Pick Six will be won by multiple players. This means that more than one person had the six winners. When this happens the money in the Pick Six pool is divided among the winners. It is possible, however, to scoop the pool. This means that only one person had a winning ticket. In this case the winning bettor receives the entire Pick Six pool. The Rainbow Six, which we have covered in a separate section, is always scooped because one of the requirements for winning is that there can only be one winning ticket.